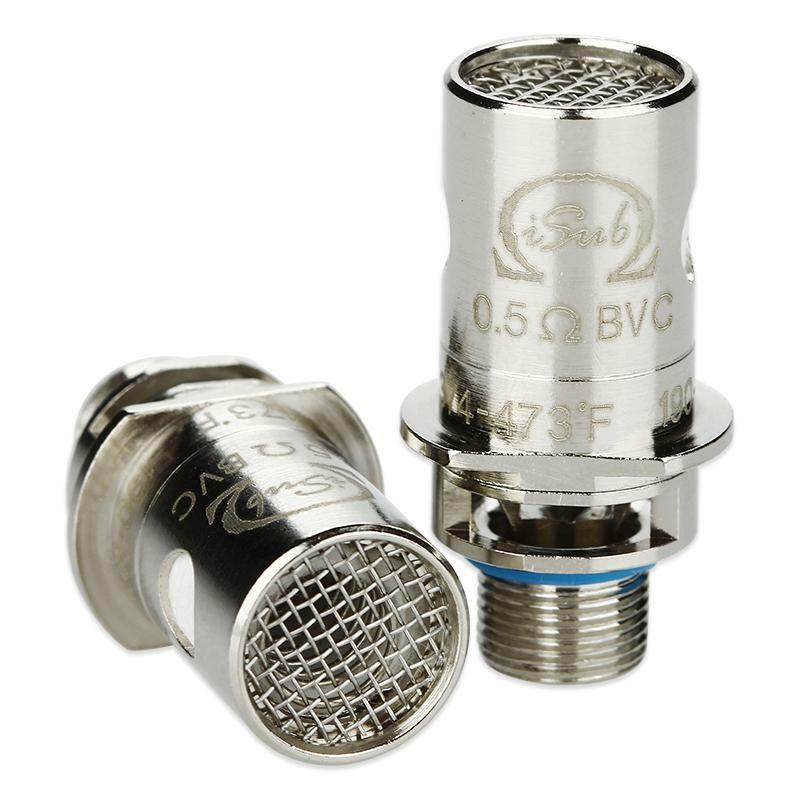 Innokin iSub BVC coil is made of 100% organic cotton wicking and stainless steel/KAL material. It's compatible with iSub, iSub G, iSub Apex, iSub S and iSub V tanks. 5pcs each pack. Get them as spare parts. • Compatible with iSub, iSub G, iSub Apex, iSub S and iSub V tanks. Innokin iSub BVC Coil is a 5pcs/pack coil with a 0.5ohm resistance suitable for iSub, iSub Apex, iSub S Tank Atomiser. For Coolfire 4 IV iSub Tank Atomizer.